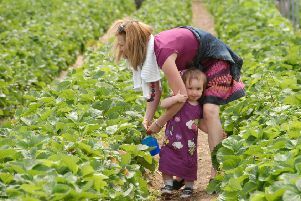 Farming is considered to be one of the most dangerous jobs and the NFU is urging members to take greater care after 10 fatalities, including a child, were recorded on farms in February alone. He urged members to focus on safety and check that vehicles are properly maintained, that people are kept separate from vehicles whenever possible and to follow the Safe Stop procedure of hand brake on, controls in neutral, engine off and keys out. February’s fatalities included a farmer killed when unloading cattle from his vehicle; a man run over by a tele handler; a worker who died when he came into contact with his chainsaw during tree work; a farmer who was crushed underneath a mini tractor and trailer that overturned on steep ground; a worker killed by a falling straw bale; a man killed when the farm vehicle he was repairing fell onto him; and a child who was hit by a farm vehicle.